1. Using with face care liquid, lotion or cream. 2. 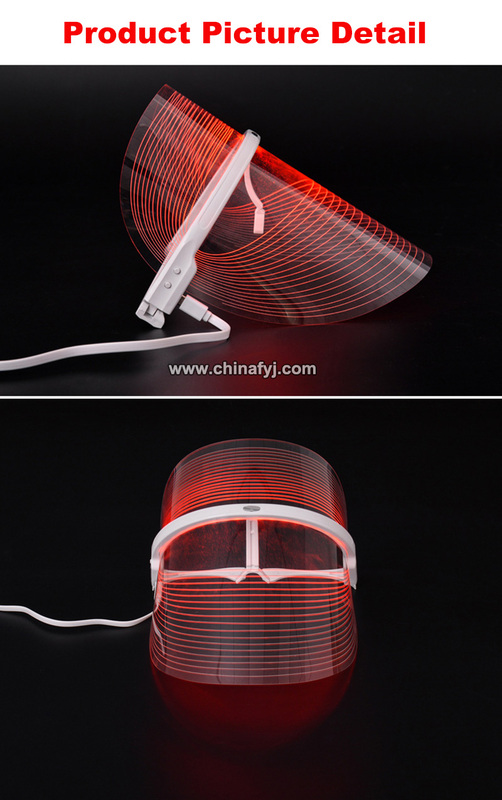 3-in-1 LED mask, just use for 10-20 mins before sleep. 3. 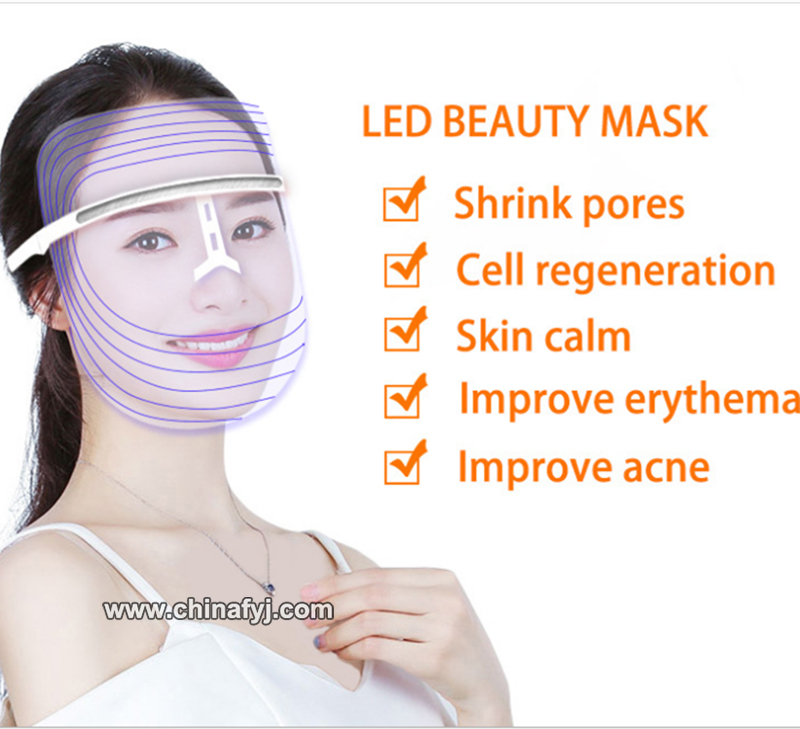 Help your skin rejuvenate and regenerate better. 4. 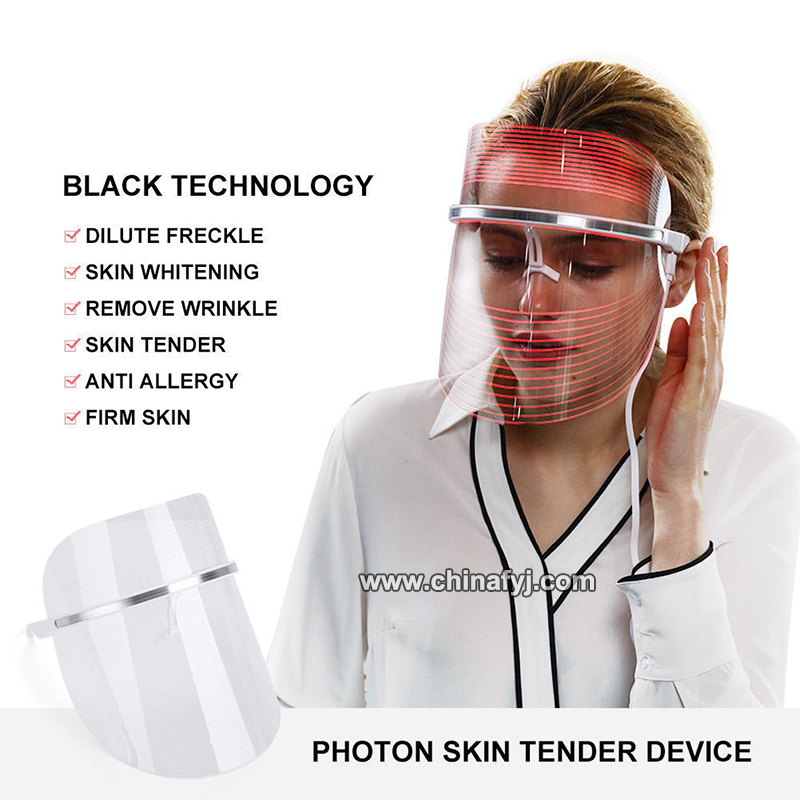 Strong effection in remove freckle and acne. 5. 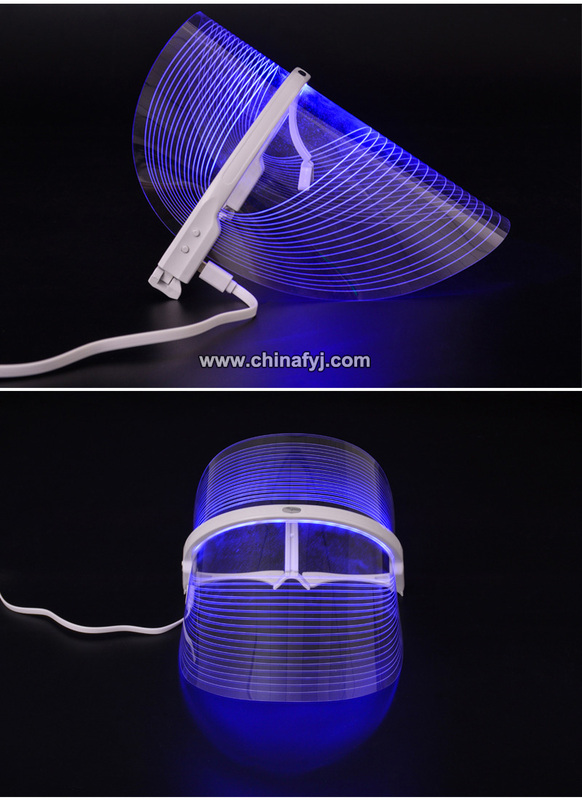 Convenient and available use in house. 6. 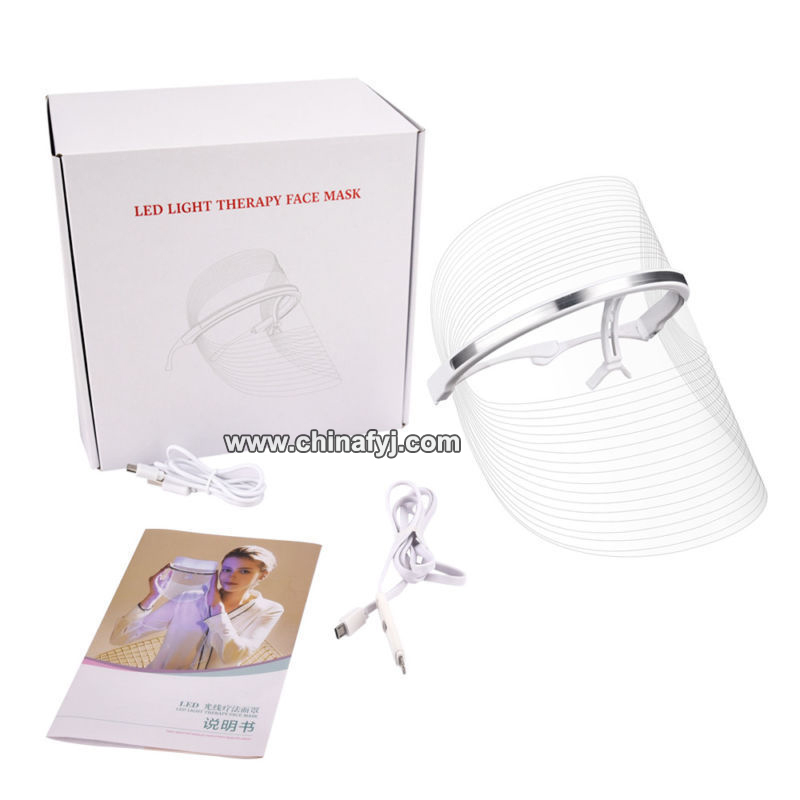 LED technology support to clean your skin efficiently. 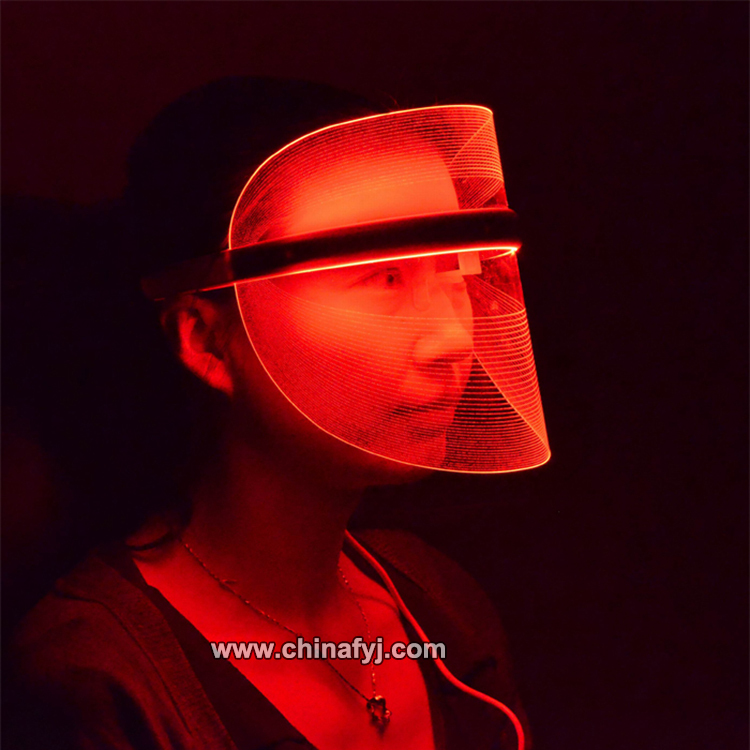 Red Light: 620~750nm : reduce fine lines, wrikles, accelerate skin metabolism ,improving wrinkles and increasing elasticity. 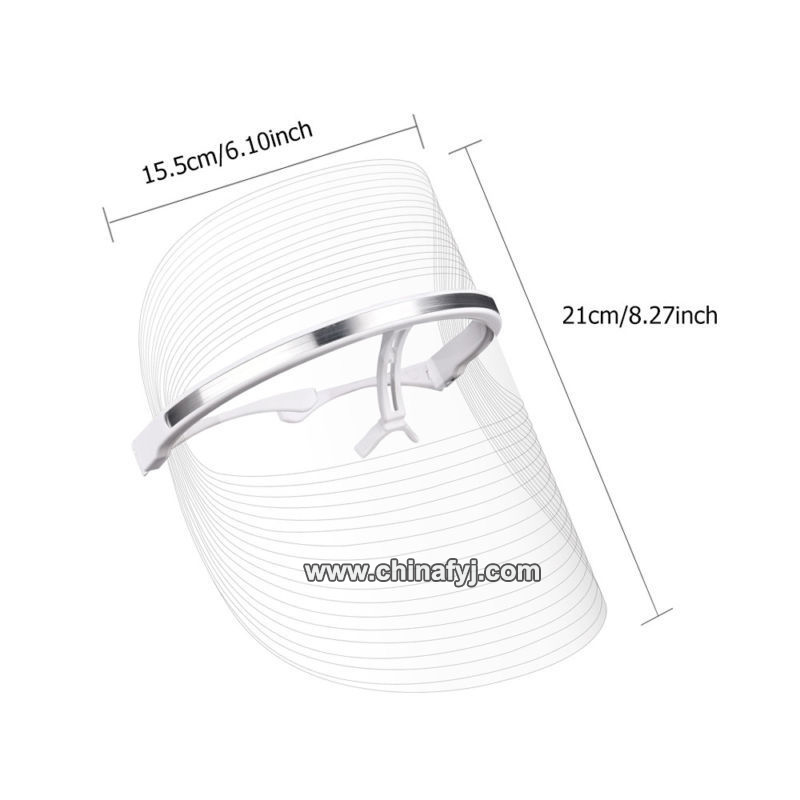 , shrinking pores and relieving skin. 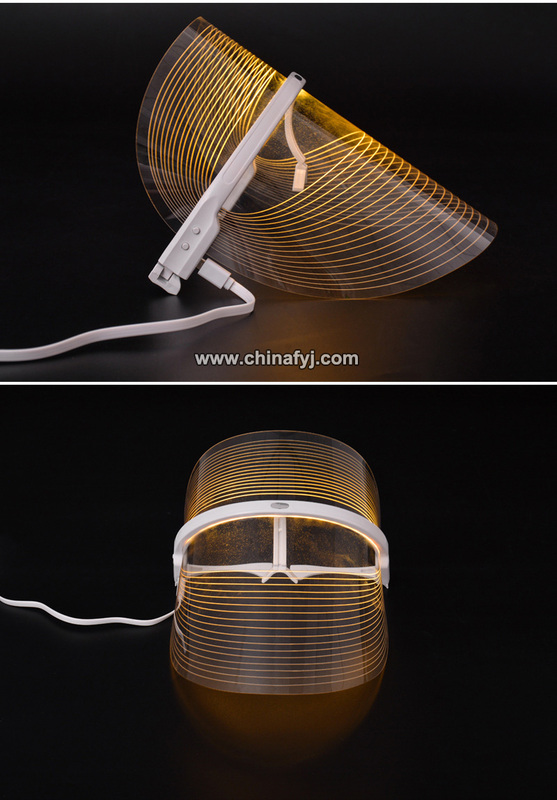 Changing the light color by touch operation or wire control operation. 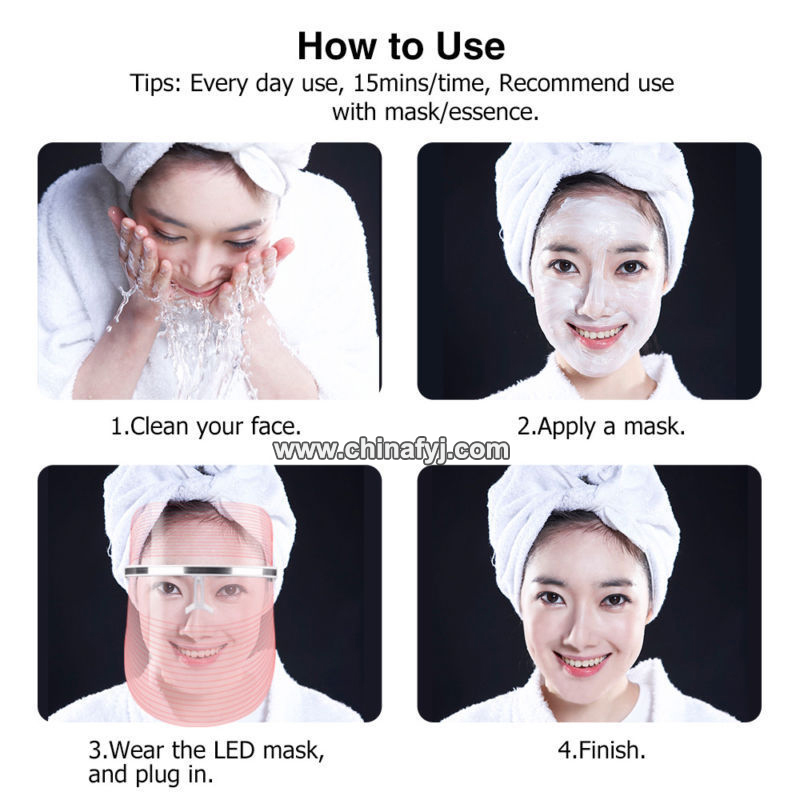 1.After cleaning your face and wiping off the leftover water, just put the mask on your face and adjust it to a suitable place. 2.Linking the device to your phone or tablet. 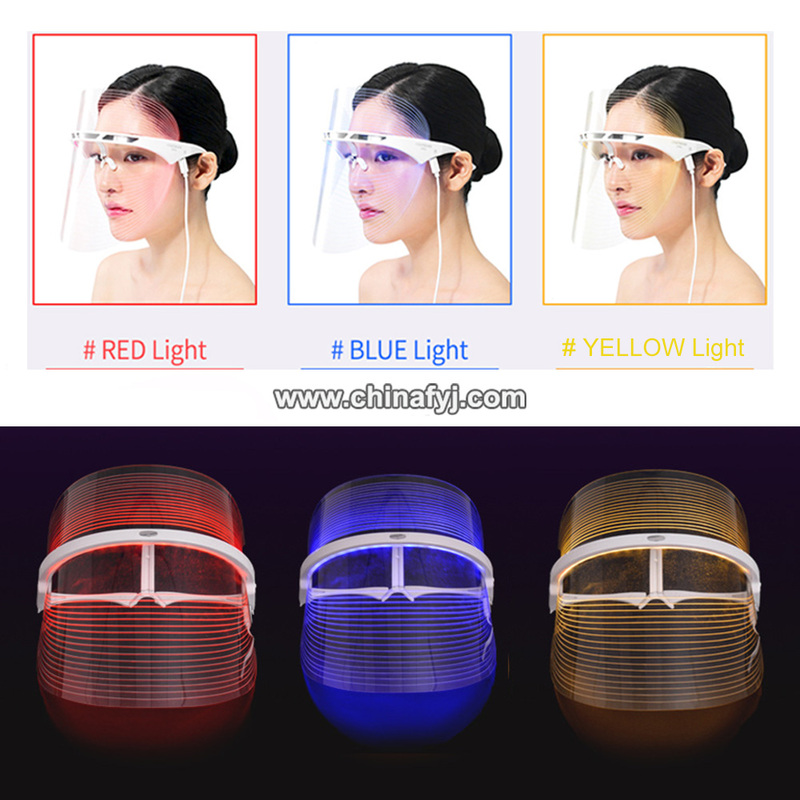 3.The red light and blue light will alternately work. Note:If you find that the remote control button does not respond, please reconnect the phone or check if the USB cable is connected. · General: With 6 exercise modes and 10 intensity levels. · Upgraded APP: With 8 exercise modes and 15 intensity levels,adjust the mode and level on your phone.
. USB rechargeable type: With 6 exercise modes and 10 intensity levels.
. LCD USB rechargeable type: With 6 exercise modes and 10 intensity levels.
. Voice speaker USB rechargeable type: With 6 exercise modes and 10 intensity levels.
. Hip trainer : With 6 exercise modes and 10 intensity levels. 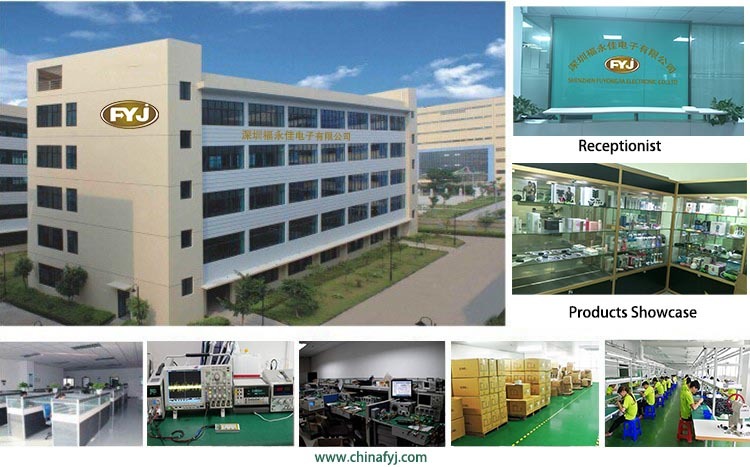 Shenzhen FuYongJia Electronic Co. Ltd was established in Oct 2007. 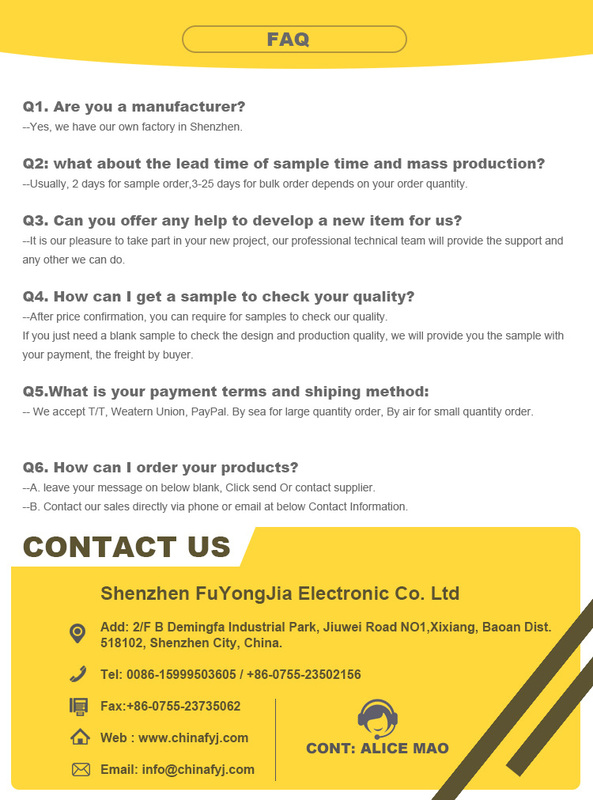 We are a professional high-tech maker working on health&beauty products and specialized in the R&D, production, sale and brand operation. H. Makeup Powder Puff Series. 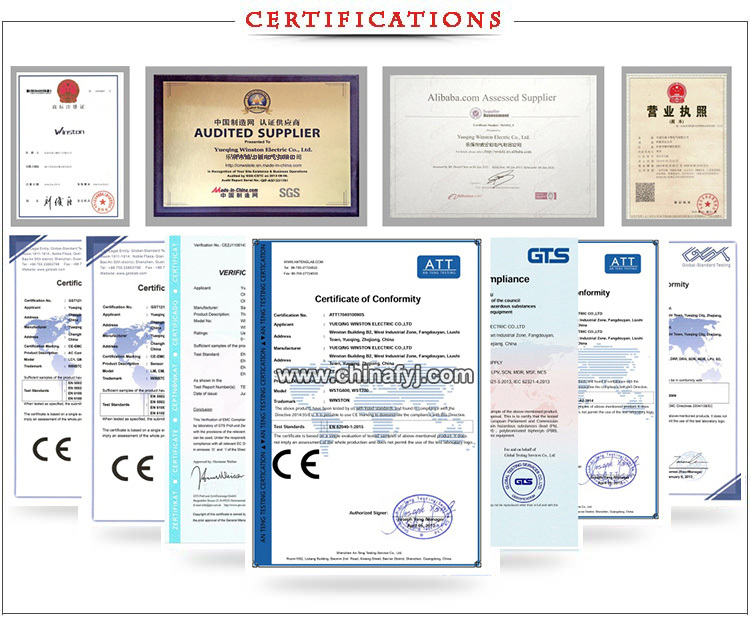 Depending on excellent products, fashionable designs and professional service, we have been establishing good relationships with many customers from different countries and regions, e.g. the USA, Europe, Australia, Japan, the Middle East and so on.